This item is selling for $32.99 on eBay. 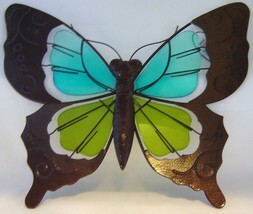 Butterfly design with colorful display. Made of metal with colorful glass inserts on wings. Please check out my store at serenitygardendecor09.